I have been impressed with Angelosetti over the past year. He just had a really nice match with Saturyne on the Chikara show today. I think there are a lot of interesting fresh matchups for him in PWG. I have no doubt he would get over in Reseda. Looks like anyone from the old CHIKARA promotion might be available for booking. Haha. Too soon? Well, I sure wouldn't mind an influx of ex-CHIKARA guys. TNA just released Doug Williams; I think it would be great if he put in an appearance or two. You know for a guy with a pretty damn good moveset, Derek Frazier has been vastly underrated. I'd love for him to make an appearance in PWG sometime in the future. Second Doug Williams. The guy is great. If more do appear in future then I'd say London coming back full time, Kendrick to team with him (although not the Kendrick from TNA where he did nothing but 98 single leg drop-kicks and not much else) Hallowicked & Frightmare and Jigsaw maybe. Are Gargano and Fox sticking around now? Hope so. Also I guess TJ Perkins is gone seeing as he's Suicide in TNA? I bet the Suicide thing doesn't last more than that one show. Because TNA. I'm probably one of the few that doesn't want to see the majority of CHIKARA's roster in PWG. They're great guys and what-not, but I don't see anything special about the lot. Not Kingston, or Donst, or anyone else. 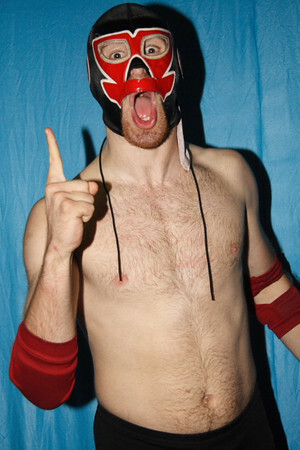 Super Dragon Mark wrote: I'm probably one of the few that doesn't want to see the majority of CHIKARA's roster in PWG. They're great guys and what-not, but I don't see anything special about the lot. Not Kingston, or Donst, or anyone else. Even Mark Angelosetti? He had great matchs with both ACH and Kingston in the past year. I'm down for a Mr. Touchdown in PWG. I think he'd fit in quite well with the rest of the roster. i'm interested to see what chris dickenson does. imo he has a goofy quality to him that makes him stand out from the other kicky guys. I definitely agree about PWG bringing in Mark Angelosetti would be nice though I don't think he'll use the Mr. Touchdown gimmick, which is fine, he's solid enough with out it I feel and I also would like to see Doug Williams back since he is gone with TNA now. Eita and Tomahawk T.T. would be great for however long they are in the US for their excursion, a PWG appearance can help them like it did for Tozawa as well. as for Thatcher and Thornstowe, I say give them a shot and give them the exposure as well. And as for Melissa as well as other female wrestlers, as we all know Super Dragon isn't exactly fan of women wrestler, understandably though probably bring her and Winter, who has been working here in SoCal lately, a few matches in intergender matches would be possible at this point for female wrestling in PWG. Also a random and probably awful suggestion here, Scott Steiner in PWG, either wrestling or even just doing commentary or ring announcing would be fine. I was at ROH Best in the World a,d the TV tapings this past weekend. I gotta say Tommaso Ciampa had the best match on both nights. I watched his match with Elgin on PPV and I gotta say the quiet crowd, and stream problems kinda hurt the match a little, but it was still an amazing match, expecially live. Then the next night he had an awesome match with... wait for it... QT Marshall. How many people can say they stole the show with QT? He has the best entrance in the indys, he has a great character, and he had a couple great matches over the weekend. People were just catching on to Ciampa before that injury last year. As far as appearing in PWG I would think Cage vs. Ciampa would be a no brainer. Garden State Saint wrote: People were just catching on to Ciampa before that injury last year. As far as appearing in PWG I would think Cage vs. Ciampa would be a no brainer. That would be awesome, I would also love to see the rematch with Elgin in PWG. And from the reports he had another awesome match in ROH this weekend, this one against Silas. eastbay510 wrote: I was at ROH Best in the World a,d the TV tapings this past weekend. I gotta say Tommaso Ciampa had the best match on both nights. I watched his match with Elgin on PPV and I gotta say the quiet crowd, and stream problems kinda hurt the match a little, but it was still an amazing match, expecially live. Then the next night he had an awesome match with... wait for it... QT Marshall. How many people can say they stole the show with QT? I was there too, man. I live like 15 minutes from that arena, and I have to say it was a downer of a show. Several really good matches had weak finishes, and the main event was.....very short and not-as-good as the previous match between the two.